Last Monday and Tuesday, Mallorca suffered from some severe weather causing considerable turbulence in air and water. Winds were reaching up to 140 km/h, causing a number of incidences at the airport and in the harbour of Palma. 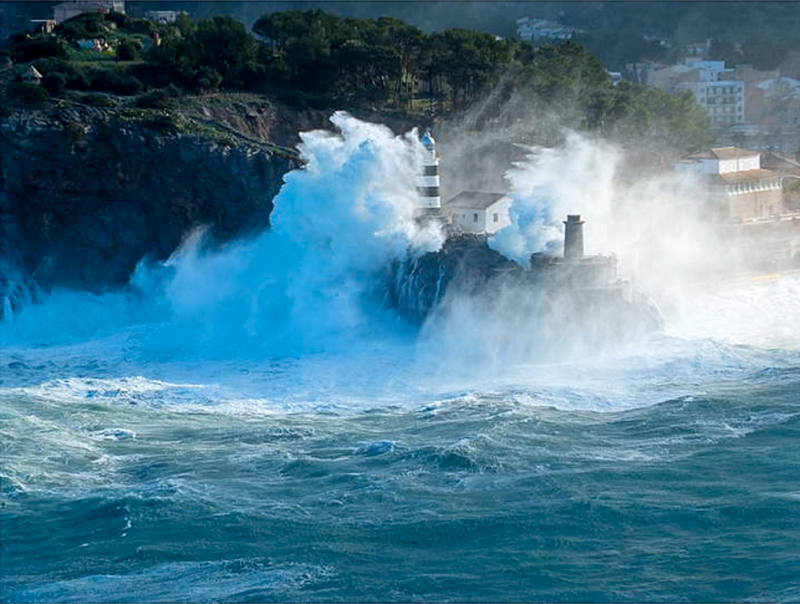 Waves rose to dramatic heights in Port de Sóller as seen here. I was not a witness myself so I borrowed a photo from the Internet, courtesy of Diario de Mallorca and the photographer, Joan Morá. Muchas gracias.